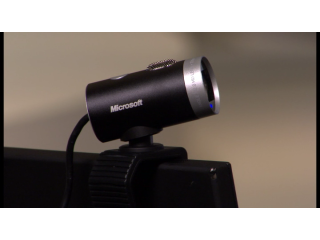 Microsoft recently announced two new LifeCams that join the lineup of webcams designed for users of Windows PCs: the LifeCam Show and the LifeCam VX-5500. The LifeCam Show is an ultrathin camera with a 2.0MP sensor and three different attachment options – a laptop clip, a desktop stand, and an attachment disk. This one is the more expensive of the two at $99.95. The LifeCam VX-5500 is only $59.95 and features a VGA sensor with great low-light performance. It also has interchangeable colored faceplates in red, white, and blue (how patriotic!). 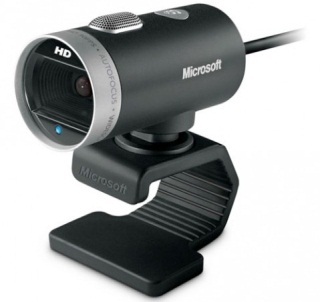 By combining these cameras with Windows Live Messenger, you can can engage in live video chats with your friends and family at any time. And if your friends aren’t available online (or if they live on the other side of the globe and you don’t want to wake them! ), you can always record a video message using the new Video Messages site at https://videomessages.live.com. Want to buy one now? Both are available from the new Microsoft Store.